System admins need to deal with several issues to keep the company network running smoothly; the primary one being that of ensuring web security is maintained in the best way possible. For this reason, I have gathered a list of the 31 most important steps admins should consider to improve their web security strategy. 1. Patch your servers – unpatched machines leave you vulnerable to various types of exploits. Make sure that all the latest security and critical updates are in place, not just for your operating system, but especially for other software being used on servers. Service Packs should also be applied as soon as possible. 2. Disable browsing/browsers on the servers – servers should never be used for browsing. 3. Practice the principle of least privilege. Always give services, servers, and users the least privileges they require to run. Additional privileges are an added risk. Yes it’s comfortable to just give admin rights, to solve permission issues but – from a security perspective – it’s a very bad idea. 4. Never reuse passwords – especially for service accounts. 7. Patch your end-point machines; this patching of end-user machines is as high a priority as that of servers, if not higher. Since users are constantly browsing using these machines, they might be more prone to coming across exploits. 8. A critical component which must always be up-to-date is the web browser. Always make sure that the latest versions of the most recent updates are in place – most exploits target web browsers specifically. 9. Implement a policy where your users are only allowed to use secure web browsers – without showing any bias to any specific browser, we all know that some browsers are more secure than others. 10. Restrict downloads by file types – although you might want to allow your users to download audio and video files, if they have no reason to install software on their machine, restrict the possibility of downloading certain file types such as .exe, .msi, and other potentially malicious file types to only those who really need them. 11. Remove administrative access to users except to those who really need it – and you should have very few of those. Anybody who needs to install software should do this via their IT administrator. 12. Scan all downloads at the perimeter using multiple scanning engines – antivirus vendors have different strengths and weaknesses, and different response times to different types of threats. Multiple antivirus engines ensure you get the strengths of each product, with the weaknesses of any product being mitigated by the other products. 13. Have yet another (different) antivirus at each endpoint. One which focuses on being extremely fast to keep it non-intrusive. 14. Invest in the latest generation firewall – one which can perform Deep Packet Inspection. Exploits can easily appear via a port which you voluntarily left open (HTTP/HTTPS). 15. Monitor uploads and upstreams to strange geographic IPs, or large constant upstreams – these may indicate a botnet infection. You’ll need to run disinfection software to ensure that the end-point has not been compromised. It is likely that these infected computers are sending out hundreds of spam messages (risking your public IPs becoming blacklisted), or used to perform DDoS attacks. 20. Remember to always have regular backups of your data and important stuff. As an aside, also remember to back up your mobile contacts. It’s annoying to lose your phone; it’s catastrophic to actually lose a lifetime of contact numbers. 21. Put event logging and auditing in place – you really want to know as soon as possible that some critical event has occurred, like any attempted attack on your servers. 22. Block websites or prevent uploads to websites which allow you to send large files. For convenience purposes or just out of laziness, your employees might actually be leaking critical, confidential data. If you need to use these websites, only use approved ones which are known to be trustworthy so that at least you can maintain control. Use a common account and remove the files once they are no longer needed. Password-protect the files if possible. 23. Do not develop a habit of clicking random links on Facebook, Twitter, YouTube or anywhere else – be suspicious of all links, even those coming from people you trust. Educate as many people about this as possible. Malware authors also use simple tricks such as creating a fake domain such as: http://Microsoft.validlookingwebsite.biz or http://facebook.prettyname.info. Any short URLs actually create a problem with all sites looking nearly identical. 24. In general, don’t visit websites which you don’t know – if you have reason to do so, implement web reputation blocking – and therefore only visit websites with a good reputation as they expose minimal risk. 25. Don’t download and install software unless you have significant reason to trust the software – especially nothing coming from hacking/cracking websites. Hidden malware in these sites is the order of the day, and if you are trusting somebody who is making it easier to steal software, do you actually trust them to run software on your machine? 26. Ensure that your antivirus and web security engines can scan HTTPS encrypted websites, links and downloads. HTTPS websites are typically used by malware authors to disguise themselves from for scanning engines. 27. Block sites which are known to be malicious, or use a security engine which does this implicitly. 28. Block known phishing sites, or use a security engine which does this implicitly. 29. Test the waters – perform a dummy social engineering attack, send out an email which mimics a phishing or malware attack. Log those people who fall for the trap and educate them. Remember they’re probably very good at their job, but might not be as tech-savvy as you are. 30. Block or control Instant Messaging (IM) clients – these are often used by malware authors to propagate malicious content. 31. Educate constantly – you might be on top of your game, but not all browsing users are. Ensure they realize the risks they introduce the network to when performing certain actions, so they can take their own responsible actions. 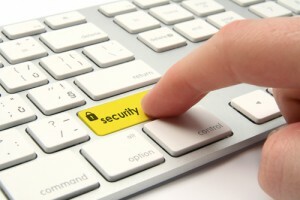 Following these points will help any system admin ensure web security is top notch. Have any other points to add to the list? Leave a comment. It’s kind of sad the way that admins have to be the “cautious parent” for their users, but then if nobody else is going to look out for the company’s security, someone’s got to. These are all pretty good tips but certainly none are as important as the last one – educating your users means creating safer practices for both the office and home. If you’re used to it, it gets to be easy. Another thing an admin can do to increase web security is to enable a browser’s online protection tool. Most major web browsers have this feature. In Firefox, for example, this can be turned on by enabling Start Private Browsing. You can go to the Tools tab then click the said feature. For me web reputation blocking is not very effective and practical. What if your job entails you to visit lots of websites? Your work will be affected. Instead, try to search for websites by using Google or Yahoo. I know the former search engine has a built-in tool that can detect if a website is legit or not. I agree with you KC. Private browsing tools are really helpful. But I don’t use Firefox. I’m currently using Google Chrome – for me, the fastest and most secure web browser ;). In Chrome you can use its private browsing tool by enabling Incognito or Guest Browsing. Incognito is an innovative web security feature that can hide your browsing activity from others. Your download histories are also not recorded. Cookies are also automatically deleted after use. Guest Browsing works like Incognito but you have limited use of Chrome’s features. Try Google Chrome and you don’t have to worry about your web security issues. @KC and @Papa Joe: yes browser protection does offer additional protection. I should have added that as part of point 9. They have one problem though – they typically do not cover the latest threats – so you are still at risk. The idea that one browser (be it Chrome or anything) is the solution to web security problems, is a dangerous game to play. @KC – Remember, reputation will not typically hinder your browsing – its only going to protect where necessary. With web reputation you can have varying policies for different users based on reputation of websites. Say, you allow certain people access to trustworthy sites only, and then give administrators more rights. Reputation gives a score which tpyically indicates that a site is dangerous – before it actually becomes a threat. It is the ultimate tool in web security. You also raise a very interesting misconception. A rising threat is that of search-engine poisoning. Malware authors are now using techniques to rise up the search engine page rankings for popular keywords, in popular search engines. However, with something such as Web Reputation and blocking of known malicious websites, user browsing is as safe as it can get. Browsers tend to block legitimate sites for past abuse and this causes inconvenience. I remember a friend of mine tried to contact some embassy and he got this fake message that the site is infected. When I checked it, it turned out it came clean. No doubt, it is much better to get fake reportings than to get infected but I just wanted to point out that browser security too isn’t very reliable.